The orange trees lining Finch Street and circling the Gwydir oval are a unique feature of Bingara. 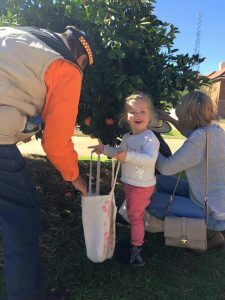 Planted as a living memorial to Bingara’s fallen in World Wars I and II, the trees and the annual harvesting of the fruit by the local school children (the orange police) happens on only one day of the year. 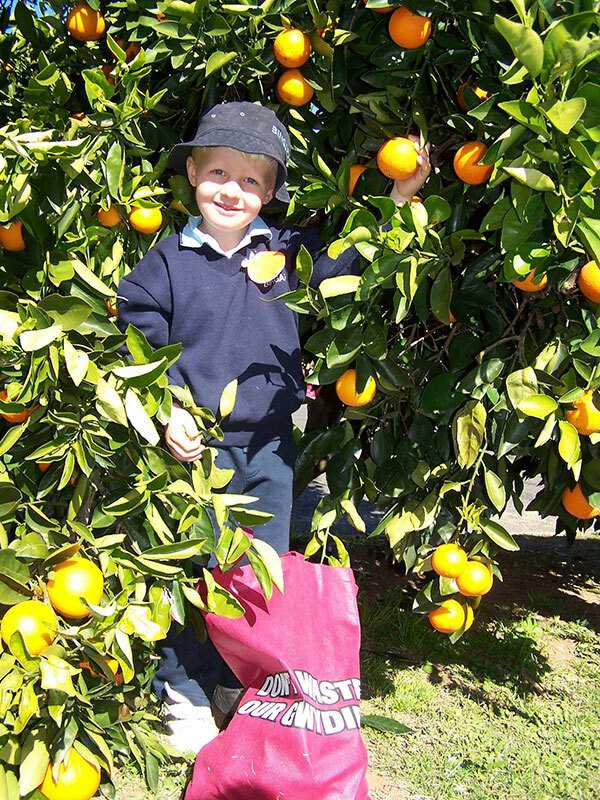 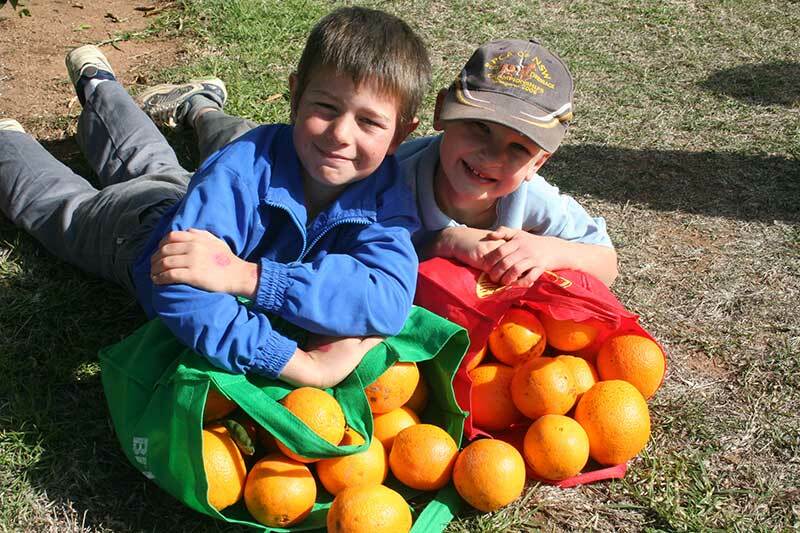 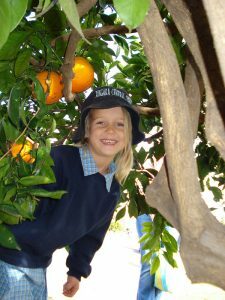 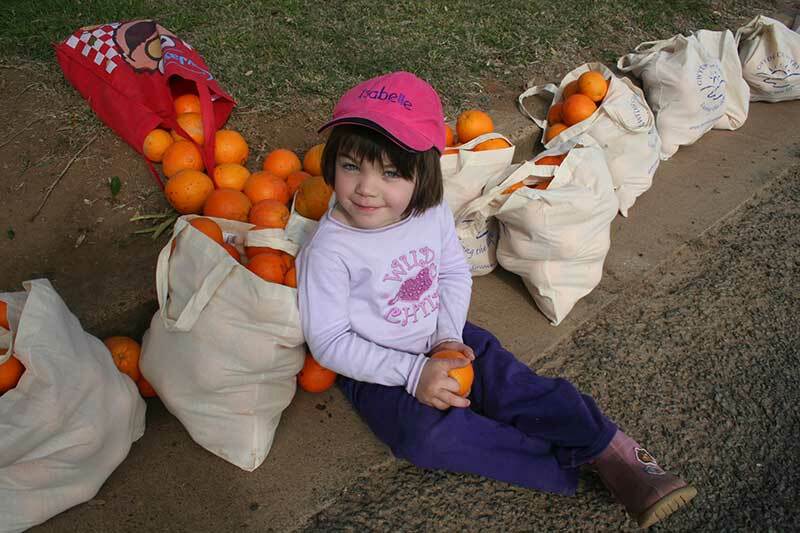 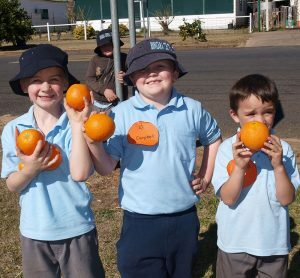 Bingara Orange Picking Day is greatly anticipated each year with the trees bursting with fruit, begging to be picked. 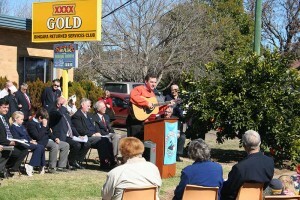 On the appointed day, a ceremony outside the Returned Services Club marks the beginning of the harvest. 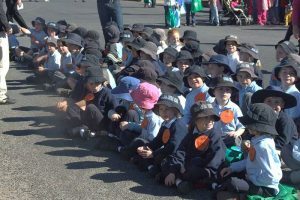 The children and wider community listen to an address given by an invited speaker, then join Rick Hutton in his rendition of “Oranges Everywhere”, a song written by him to commemorate the occasion. Once completed, the picking begins. 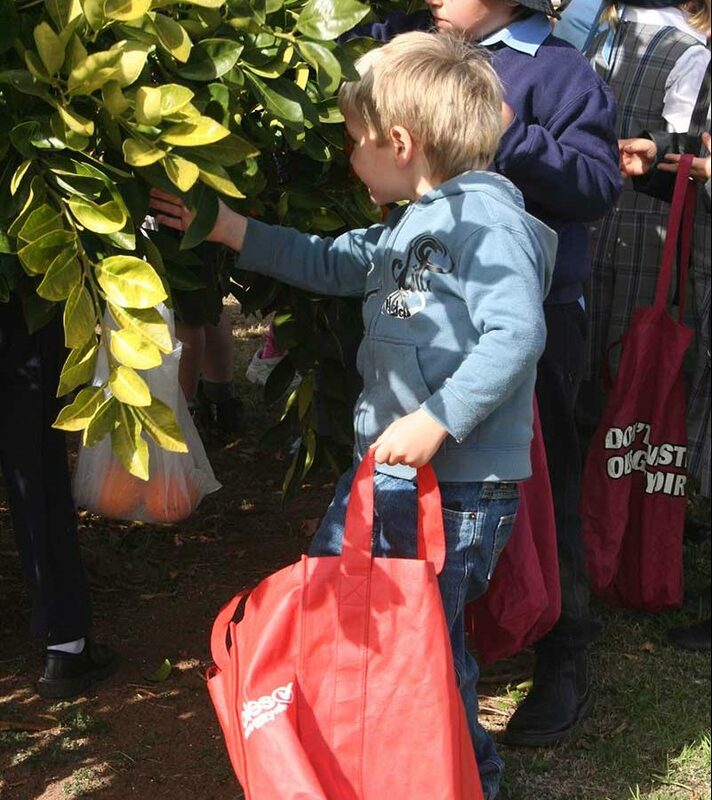 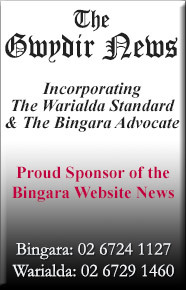 Children dart everywhere filling up their bags – one for their own families and the other for circulation to Bingara’s Senior citizens. 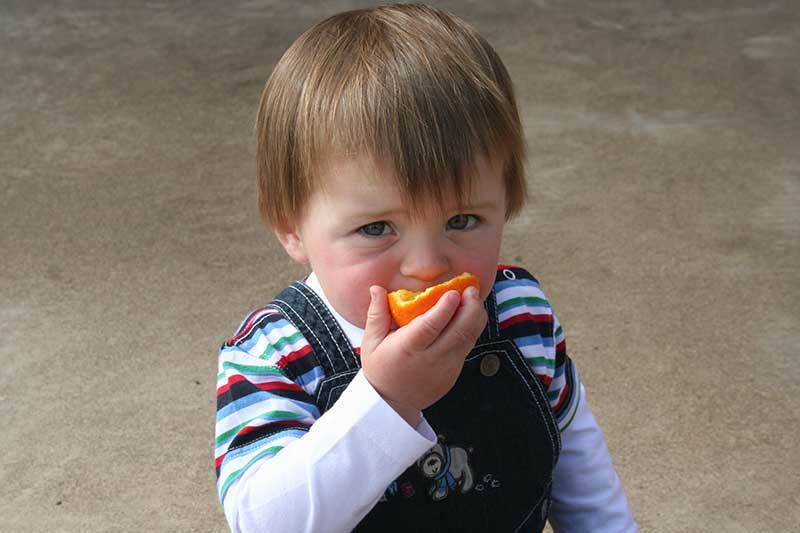 Of course there’s always time to stop and taste! It is wonderful to see the older children hoist the preschoolers and smaller children onto their shoulders to reach the high fruit, but what is even better, is the knowledge that all the children of Bingara appreciate the significance of the fruit they harvest and know what it represents. 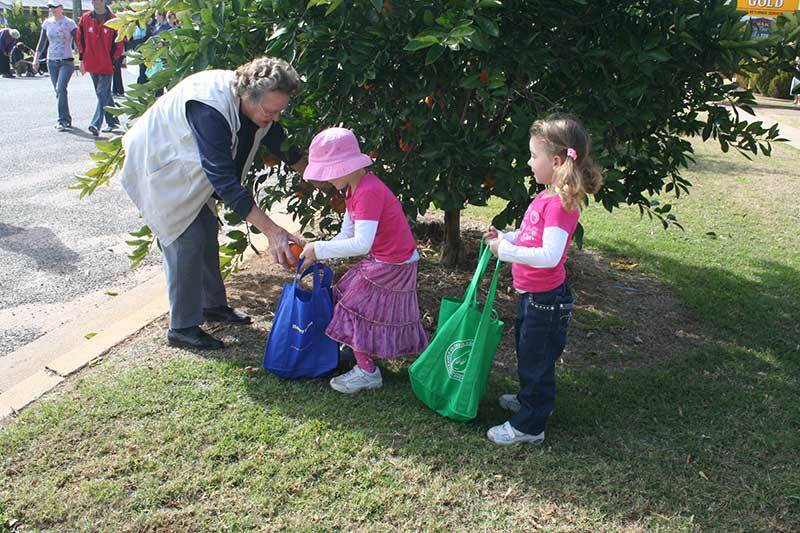 There’s an unwritten rule that the fruit on the lower branches is left for the smaller community members to pick. 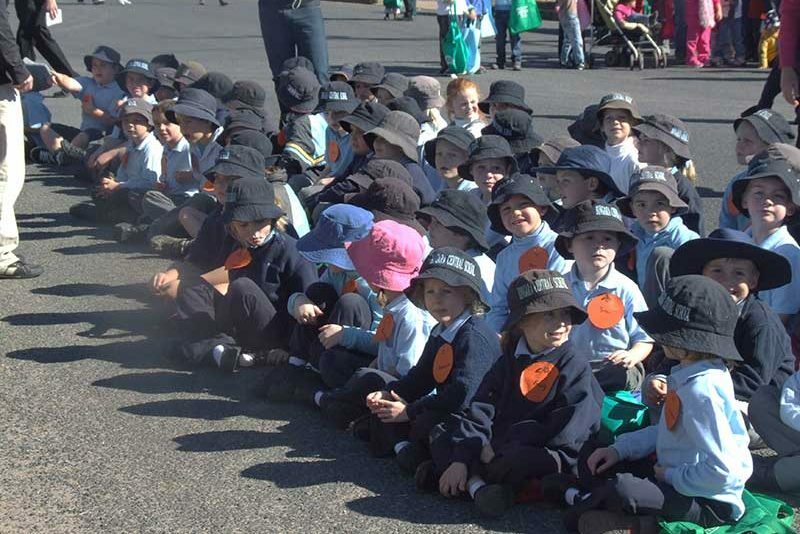 The entire town celebrates the harvest and has the festival in its’ honour! 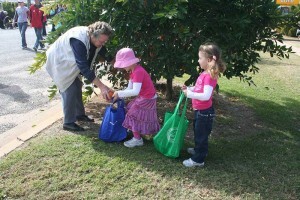 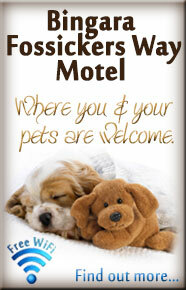 Everybody helps the little ones. 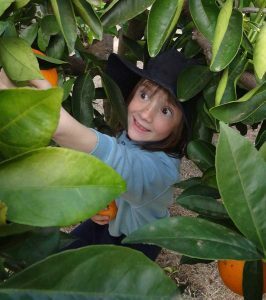 Sometimes you have to jump right in!